The writer, Roni Rabin (who has a degree in journalism from Columbia University) struggles to support her sense that there is a “growing body of research” suggesting we should all modify our current dietary habits in order to eat a breakfast and make breakfast the largest meal of the day. She then discusses experiments on mice from 2012 with a Dr. Panda, a short term feeding trial in women from 2013 and studies on feeding and circadian rhythm in a transgenic rat model from 2001. There is nothing of significance in the NY Times piece that changes my previous analysis that it is perfectly safe to skip breakfast and that it will neither make you obese nor give you heart disease. In what follows I’ll repost my initial post on breakfast (Breakfast is Not The Most important Meal of the Day: Feel Free to Skip it) followed by a follow up post (Feel Free To Skip Breakfast Again) I wrote in 2015. Finally, I’ll take a close look at a statment from the American Heart Association from earlier this year which Rabin quotes and which many news outlets somehow interpreted as supporting the necessity of eating breakfast for heart health when, in fact, it confirmed the lack of science behind the recommendation. The skeptical cardiologist is puzzled. Why would i eat breakfast if I am not hungry in order to lose weight? Is it the first meal you eat after sleeping? If so, wouldn’t any meal eaten after sleeping qualify even it is eaten in the afternoon? Is eating a donut first thing in the morning really healthier than eating nothing? Why would your first meal be more important than the last? Isn’t it the content of what we eat that is important more than the timing? -Eat when you’re hungry. Skip breakfast if you want. -These foods are nutrient-dense and do not increase your risk of heart disease, even if you have high cholesterol. -You will be less hungry and can eat less throughout the day than if you were eating sugar-laden, highly processed food-like substances. The Kellogg’s and General Mills of the world strongly promoted the concept that you shouldn’t skip breakfast because they had developed products that stayed fresh on shelves for incredibly long periods of time. They could be mixed with easily accessible (low-fat, no doubt) milk to create inexpensive, very quickly and easily made, ostensibly healthy breakfasts. Unfortunately, the processing required to make these cereals last forever involved removing the healthy components. This is a very familiar story in the world of food processing; Warner covers, nicely, the same processes occurring with cheese and with milk, among other things. 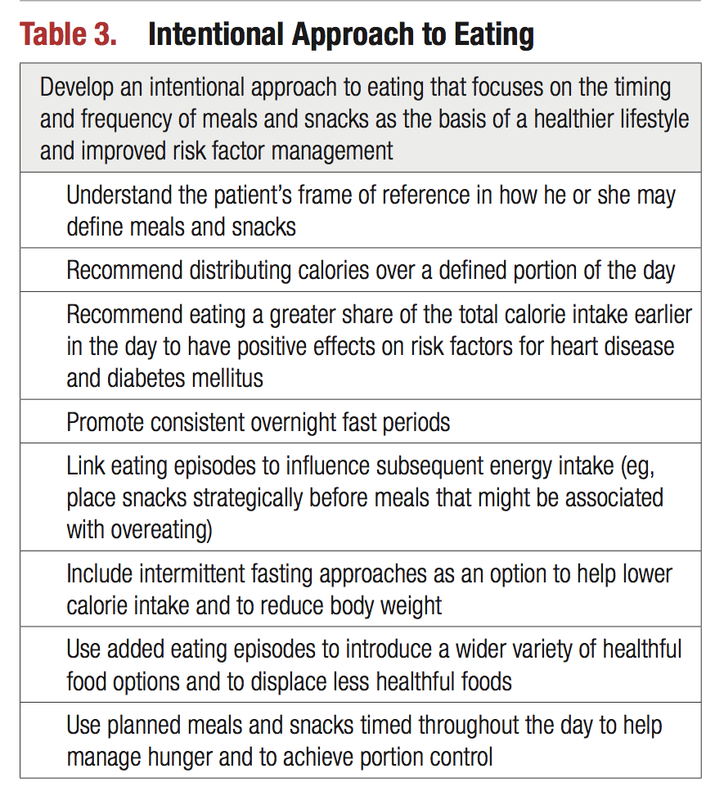 I pick on the American heart Association (AHA) a lot in this blog but the AHA scientific statement on “Meal Timing and Frequency: Implications for Cardiovascular Disease Prevention” published earlier this year in Circulation is for the most part a balanced summary of research in the field. however, the AHA statement says nothing close to that. “We know from population studies that eating breakfast is related to lower weight and healthier diet, along with lower risk of cardiovascular disease,” . Health New Review published a nice summary of news reports on the AHA statement with a discussion on the overall problem of making broad public policy dietary recommendations from very weak evidence. The New York Times does have writers who can put together good articles on health. One of them, Aaron Carroll wrote a piece in 2016 entitled “Sorry, There’s Nothing Magical About Breakfast” which does a great job of sorting through weak evidence in the field. Carroll is a professor of pediatrics at Indiana University School of Medicine and writes excellent articles on The New Health Care blog for the Times. Intentional eating with mindful attention to the timing and frequency of eating occasions could lead to healthier lifestyle and cardiometabolic risk factor management. Yikes! I have no idea what they are talking about. For those of us who need to get to work early in the morning, breakfast is likely to be the worst time for “mindful” eating. I have a cup of coffee first thing upon arising and only eat much later in the day when I feel very hungry. Dinner, on the other hand we can plan for, prepare with loved ones and consume in a very mindful and leisurely fashion with a glass of heart healthy wine or beer while enjoying good conversation. So, ignore what apparently authoritative sources like the New York Times, Reuters, and the AHA tell you about eating breakfast like a king, lunch like a prince, and dinner like a pauper, mindfully or otherwise. Breakfast was under Catholic theological criticism. The influential 13th-century Dominican priest Thomas Aquinas wrote in his Summa Theologica (1265–1274) that breakfast committed “praepropere,” or the sin of eating too soon, which was associated with gluttony.Overindulgences and gluttony were frowned upon and were considered boorish by the Catholic Church, as they presumed that if one ate breakfast, it was because one had other lusty appetites as well, such as ale or wine. 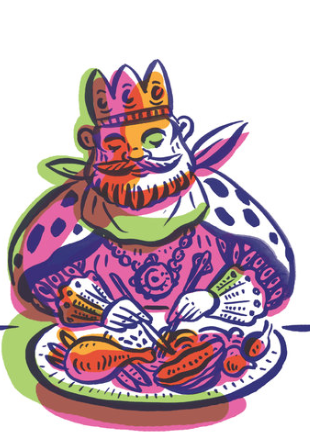 Image of king and pauper eating from the New York Times article created by Natalya Balnova. The skeptical cardiologist only consumes full fat dairy and recommends this to his patients. Is Green Tea Better For Your Heart Than Black Tea? Coffee is the caffeinated beverage most consumed by Americans and the skeptical cardiologist. It is good for the heart (unless adulterated by titanium dioxide or lots of sugar, a horror that Starbucks likes to promote). Worldwide, however, as this cool graphic demonstrates (interactive at the Economist) tea dominates over coffee in lots of places. Tea in general and particularly green tea is perceived by many to be incredibly healthy: fighting cancer, dementia, obesity and heart disease. But is this perception justified? If you Google search the health benefits of green tea you might conclude that it is a panacea for all that ails modern civilization. However, bad nutritional advice is the norm on the internet and even websites like Web MD, which you might consider to be reliable, spread inaccurate, misleading and poorly researched information regularly. Although no source is provided for this quote from Dr. Ochner, there is a Christopher Ochner, Ph.D listed on the Icahn Medical School Staff. His Ph. D. is in psychology and he works in the areas of adolescent obesity (perhaps he pushes green tea on his obese adolescents). I can find no publications by him on the topic of green tea and no evidence that he made these comments. I have sent him an email asking for clarification and edification. Green Tea and Catechins: Magical Weight Loss elixir? It’s hard to find good studies on green tea that aren’t somehow funded by the tea, nutraceutical or food industry. For example, one “S Wolfram” has written extensively on the benefits of green tea in marginal scientific journals. He works for DSM Nutritional Products, LTd., a Swiss food conglomerate. (“DSM Nutritional Products is the world’s largest nutritional ingredient supplier to producers of foods, beverages, dietary supplements, feed and personal care products” says one DSM PR release”). DSM developed a highly concentrated extract of a catechin called Epigallocatechin Gallate (EGCG) in green tea that had been identified as having potential health benefits for humans. Voila! From a few experiments in rodents and a few short-term, small studies in humans performed by heavily biased scientists, DSM’s version of EGCG emerged as a leading nutraceutical (I prefer the term, snakeoil) and now you can buy this online from a host of bogus supplement/nutraceutical sites as Teavigo. It’s Really Pure…. and Really Useless! and therefore appeals to Americans who are seeking “natural” ways to prevent or treat the common chronic diseases of Western civilization. Teavigo: Good for everything that ails you plus can be put in anything you would like to consume and spread on your face! The perfect nutraceutical! the drug for efficacy and safety. This is fine for nutraceutical manufacturers as they have been granted the ability to sell their useless products without any regulatory or FDA approval. Companies like DSM avoid making any specific health claims for their supplements (such as this drug reduces your chances of having a heart attack or stroke) because the FDA can then go after them. “Green tea has long been used for health benefits and Teavigo® is the purest and most natural form of the most active substance in green tea – Epigallocatechin Gallate (EGCG). EGCG contains potent natural antioxidants and efficient free-radical scavengers (free radicals being the highly reactive compounds that cause cellular damage). Who wouldn’t want to take a pill that is pure and natural and full of those wonderful antioxidants that stop those nasty free-radicals from causing cellular damage? Unfortunately, any time a proposed powerful “anti-oxidant” ( b-carotene, vitamin E, vitamin C, selenium, retinol, zinc, riboflavin, and molybdenum ) has been studied in a well done scientific trial for prevention of cancer or cardiovascular disease it has failed. We don’ know if this is because the wrong anti-oxidants have been chosen (for example in green tea there are hundreds of potential beneficial chemicals) or because extracting a single chemical from its milieu in a complex food/beverage makes it inactive or if the whole idea of stopping free-radical damage is misguided. Let me see here, Teavigo is natural but it is made by a “production process” with “constant product quality”. Isn’t natural production process an oxymoron? I have asked the Teavigo people to tell me their “production process” but so far I’ve gotten no response. Your guess is as good as mine as to what chemicals or other potentially damaging processes tea undergoes to reach the colorless and tasteless powder that is Teavigo. Although the evidence appears to be stronger for green tea than for black tea, which differ greatly in their flavonoid profiles, it is difficult to compare this evidence because the populations and their baseline risks of cardiovascular disease differ greatly between the individual studies on these 2 types of tea, and few studies of green tea provide evidence in non-Asian populations. Whereas there is reasonable observational evidence that high tea consumption is associated with lower cardiovascular risk, the evidence for green tea being healthier is mostly marketing hype. If you like green tea by all means drink it in whatever quantity you desire. It’s not bad for you. Weak observational data suggests it may reduce your stroke risk, especially if you are Asian. On the other hand, if you like black tea or oolong tea you can feel very comfortable that it is not bad for you. It might also reduce your risk of stroke. There is nothing to suggest tea is healthier than coffee. Don’t add sugar or titanium dioxide to your tea but feel free to add cream or full fat milk. Don’t worry about caffeine unless it makes you jittery or brings on palpitations. Common sense should tell you what amount you can tolerate. Please don’t buy or consume green tea extracts or Teavigo or any other nutraceutical. The makers of these products are cynically preying on consumer desire for “natural” treatments, selling chemicals which have not been proven either safe or effective, and employing misleading marketing and promotional material that implies “scientific” support that is either nonexistent or comes from very weak studies, often run by researchers employed by the industry. The Holiday Season is upon us so it may seem cruel for the skeptical cardiologist to resume harping on the toxicity and ubiquity of added sugar as is he is wont to do. Instead, I’m reposting an excellent summary of the topic by Axel Sigurdsson, a cardiologist/blogger from Iceland. Axel writes an excellent blog called Doc’s Opinion which touches on many of the themes I have covered here. 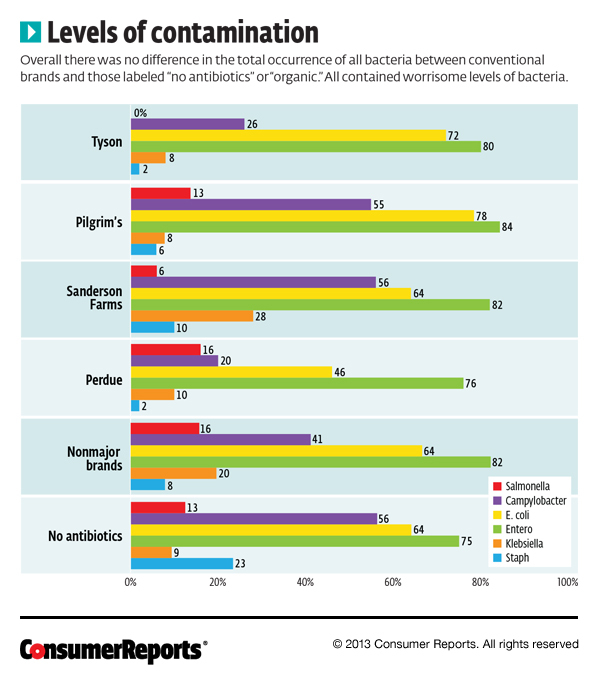 When it comes to the science of nutrition, everyone seems to have an opinion. Consequently, there is huge disagreement, even among the experts. If we ask for advice, there are likely to be dozen different answers. So, in the era of information overflow, the general population has become severely confused. Apart from having to choose between various food products, we are urged to choose between different paths, almost like finding a favorite football team or choosing a political party. Your cardiologist will likely recommend the DASH diet or a Mediterranean-type diet. Low carb and Paleo have become very popular but are often condemned by the traditional university academic. Then there is low-fat, vegan, gluten free, raw foodism and much more. In their search for better health, people spend billions every year on books, DVD’s, meal plans, diet products, and food supplements. Simple plans that promise big results are most popular, but usually don’t work. Nonetheless, we are continuously hoaxed by marketing and empty promises. However, in the midst of all the confusion and disagreement there is a simple measure that if taken seriously may improve our health and lessen the risk of disease more than we might ever realize. And, in fact, the academics, the vegans and the low carb, low fat and Paleo enthusiasts might all agree on this one. Added sugar is the sugar that is added to food or drink during preparation or processing. Added sugar may be natural (such as fructose ) or processed (such as high-fructose corn syrup). 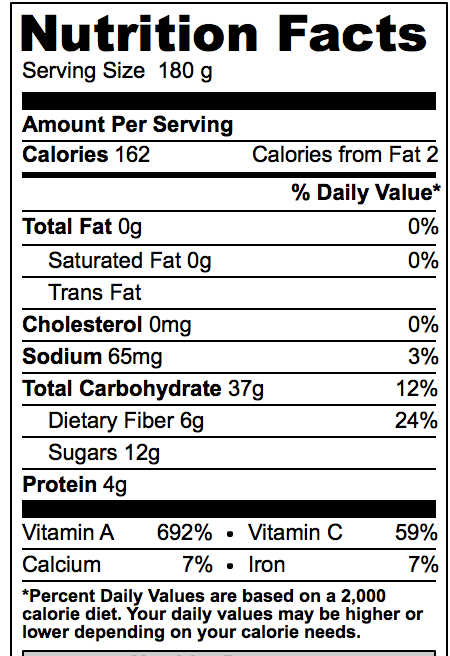 Added sugar provides no nutritional value. However, it boosts flavor, texture and color, and extends the shelf-life of foods like bread, breakfast cereals, tinned fruit, and vegetables. No wonder food manufacturers love sugar. Because of the lack of nutritional value, foods that are rich in sugar are often described as empty calories. If sugary foods and beverages are a large part of our diet we are likely to miss out on important nutrients, vitamins and minerals. Finding out how much added sugar is in our food may be confusing. 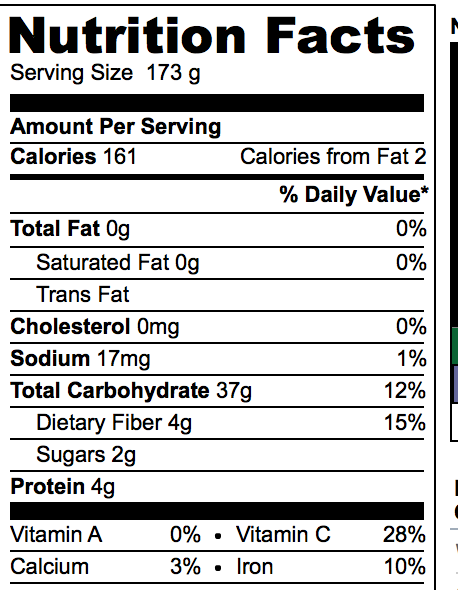 The Nutrition Facts label may be misleading because it contains information about the amount of sugar per serving. So, to interpret this information, the size of the serving has to be taken into account. A rule of thumb is that more than 15g of total sugars per 100g means that sugar content is high, and 5g of total sugars means that sugar content is low. The biggest obstacle, however, is that humans seem to love sugar and for most of us the love affair lasts a lifetime. Love is not easily conquered by practical reasoning and level-headed common sense. Thus, taking actions to reduce the intake of added sugar is one of the major challenges facing public health authorities worldwide. Due to their potential commercial significance, effective measures will undoubtedly be followed by severe repercussion from parts of the food industry. But, if better health is our aim, confrontations are inevitable. However, for us, individuals and mortal human beings the message is simple; few lifestyle measures are likely to be more effective than avoiding added sugar whenever possible. Doc’s Opinion is written and edited by Axel F. Sigurdsson MD, PhD, FACC. Dr. Sigurdsson is a cardiologist at the Department of Cardiology at The Landspitali University Hospital in Reykjavik Iceland. He also practices cardiology at Hjartamidstodin (The Heart Center) which is a private heart clinic in the Reykjavik area. He is a Fellow of the American College of Cardiology (ACC), The Icelandic Society of Cardiology and the Swedish Society of Cardiology. Dr. Sigurdsson is a specialist in internal medicine and cardiology. He did his cardiology training at the Sahlgrenska/Östra University Hospital in Gothenburg, Sweden and at the Royal Jubilee Hospital in Victoria BC, Canada between 1988 – 1996. He is past president of the Icelandic Cardiac Society. Dr. Sigurdsson main interest has been in the field of coronary heart disease and heart failure. He has published more than 100 scientific abstracts, articles and book chapters in international journals and text books. Can Ovine Obesity (Fat Sheep) Teach Us About Atrial Fibrillation? Until the last year or so when patients asked me what they could do to help their atrial fibrillation (AF) I would tell them to avoid excessive alcohol consumption and take their medications as prescribed. My response has changed because new data suggest that losing weight and exercising can significantly reduce the recurrent rate of atrial fibrillation. Now, in addition to my standard reasons for staying at ideal body weight and exercising regularly I can toss in the fact that atrial fibrillation will be less frequent and troublesome. I had noted previously that the majority of my patient’s with AF were obese and sedentary (although there are definitely many AF patients who exercise regularly, eat a great diet and stay at their ideal body weight0 but data was lacking to suggest cause and effect. View of the left atrial appendage (LAA) and posterior aspect of left atrium obtained in a 400 pound woman about to undergo electrical cardioversion for her atrial fibrillation. The orange arrow points to extensive collection of fat in the walls of the atrium. In addition, I had noted that when I looked at the left atrium of the vast majority of patients with AF using an imaging tool called trans-esophageal echocardiography they had evidence for fatty infiltration into the area between the atria (atrial septum) and the wall of the left atrium. I strongly suspected based on these observations that somehow the fat infiltrating into the walls of the left atrium was triggering AF but I had no way of proving it. Isolated observations like these can only generate hypotheses on causality. Science has many different approaches to solidifying or proving hypotheses and one such approach is to induce a disease in an animal similar to humans and make detailed analyses of the cause and consequences. Australian researchers writing in JACC in July present their observations on the electrical, physiologic and structural changes that result when sheep get fat. 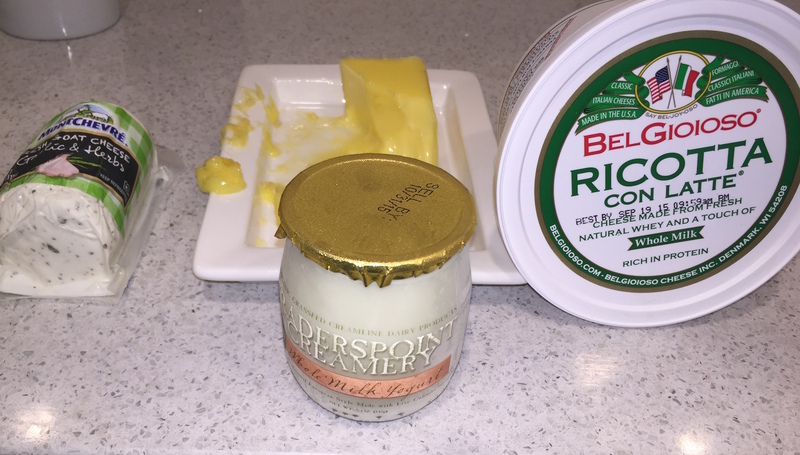 How Do You Make Sheep Fat? 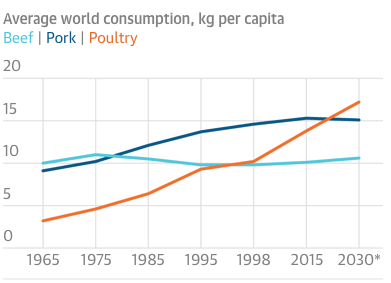 Apparently you just let them eat as many pellets made of energy-dense soybean oil (2.2%) and molasses–fortified grain as they want. After 36 more weeks of obesity the sheep were studied extensively. All sheep underwent “electrophysiological and electroanatomic mapping; hemodynamic and imaging assessment (echocardiography and dual-energy x-ray absorptiometry); and histology and molecular evaluation”. The fat sheep developed AF and had multiple abnormalities in the left atrium, the source of AF, that made them more likely to develop atrial fibrillation. In fact, the investigators believe it was fat collecting around the heart and specifically around the posterior left atrium that was triggering all these changes. The pictures to the left show a heart from one of the fat sheep. 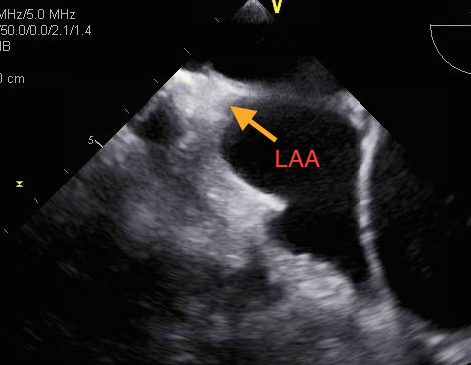 The arrow points to the extensive amount of fat collecting posterior to the left atrium. 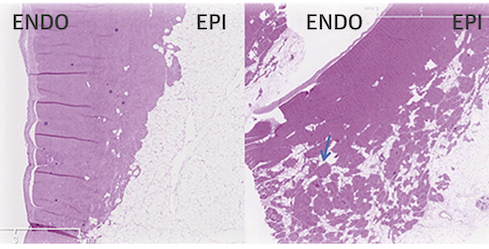 When the posterior left atrial wall was viewed microscopically, fat cells could be seen infiltrating between the muscle cells in the fat sheep (right, blue arrow) but not in the lean sheep. 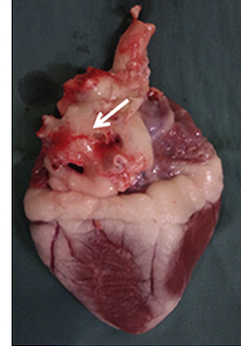 In the fat sheep, fat cells (adipocytes) were enlarged and infiltrated between the muscle cells of the left atrium, presumably disrupting the normal electrical activity and contributing to the development of atrial fibrillation. More Reasons To Stay At Your Ideal Body Weight! If you were previously unmotivated to avoid obesity perhaps this will motivate you. Think about fat cells gathering around your heart and pouring their evil humours into the tissues of your left atrium and making it more likely that you will develop AF. With AF comes increase risk of stroke, heart failure and death. In recent years, sweet potatoes have become a favored alternative to potatoes for health-conscious eaters for some reason. I’ve been noticing sweet potatoes more and more on the menus of trendy/healthy/locavore oriented restaurants as an alternative to potatoes. Please note that any article that takes the term superfood seriously should be dismissed as frivolous. Stop reading immediately and never revisit the source. Somehow, the idea that a sweeter, tastier vegetable is better for me than its not-so-sweet relative made no sense to me. Are they a healthier choice than regular potatoes or is this all driven by marketing hype? Sweet potatoes have six times more sugar and 50% more fiber than regular potatoes. Sources that proclaim SP healthier like to focus on the large amount of Vitamin A. However, we don’t necessarily need more Vitamin A in our diet and nothing suggests these minor differences are of any importance in our overall health. Trace amounts of thiamine, riboflavin, folate, magnesium, phosphorous, iron, and zinc…and all this for just 110 calories and no fat, sodium or cholesterol. Potatoes are a vegetable. 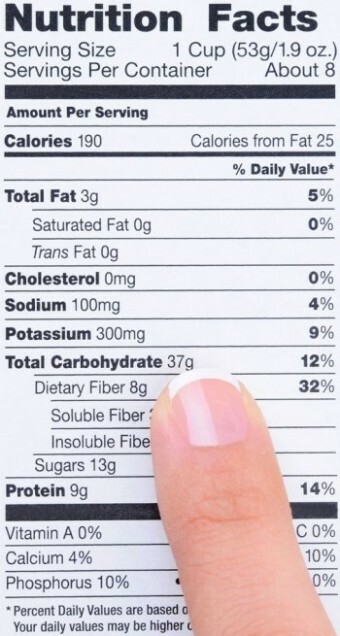 The popular tuber counts toward the total recommended servings of vegetables. One medium-sized potato (5.3 oz.) counts as 1 cup of starchy vegetables. There isn’t much good evidence that the glycemic load is something we should be focusing on with diet (see here) but the Harvard people like to point to observational studies that show that people who increased their consumption of french fries and baked or mashed potatoes gained more weight over time. All observational studies try to control for confounding factors in their analysis, but in the case of food consumption it is particularly difficult because it is highly likely that those individuals who are eating french fries are also engaging in other lifestyle choices that are perceived as unhealthy. The large observational study, which found that increased consumption of potato chips and potatoes was associated with the biggest weight gain, classifies yams or sweet potatoes as a vegetable (along with tomato juice (which is mostly sugar)and tomato sauce). Vegetables were associated with a small loss of weight over time. The sweet potato gets to hide amongst all the arguably really healthy vegetables (like chard and brussel sprouts and kale) that those who are truly dedicated to a healthy lifestyle have embraced with enthusiasm. This group also exercises optimally, avoids eating junk food and processed food, and engages in other subtle behaviors that the observational study did not measure. Why Might Potatoes Be Associated with Obesity? I view potatoes as a ubiquitous, cheap and quickly prepared food that allows the rapid and easy accumulation of excess calories. The average American consumes 120 pounds of potatoes per year compared to only about 5 pounds of sweet potatoes. French fries, a staple of fast food throughout the world, when consumed hot, combine many of the sensory elements that lead to overeating. When done properly, the frying process adds a wonderful crispness to the outside, and when combined with the warm, perfectly cooked potato on the inside, the result is irresistible. A large order of McDonald’s french fries contains 510 calories, suddenly triple the number in a medium potato, but it only costs $2.19 and is available virtually instantaneously. Chances are those who are consuming the McDonald’s french fries are saving further money and preparation time by combining it with a Big Mac (590 calories) and a medium Coke (210 calories). This Value Meal #1 only costs $5.69 but contains 1300 calories. Even if you are avoiding fast food, french fries and potato chips are ubiqitous. For some reason, most restaurant breakfasts which are not pancake or waffle oriented are presented with a side of potatoes. Sandwiches always seem to come with an order of potato chips. Hamburgers are served with fries. Steaks with mashed potatoes. For most meals that contain a potato side, up to half of the total calories are coming from the spuds. You have to make a concerted effort to not consume some form of potato when you are eating out, and when you do that, you are now importantly paying attention more to total calories than to macronutrient content of meals. Your other choice is to not consume all of the french fries, potato chips, grilled potatoes or mashed potatoes that are presented as a side, but many individuals feel compelled to finish everything on their plate. If sweet potatoes were as ubiquitous as potatoes and became a staple of fast food restaurants and a side for any and all dishes (and if they were separated out from the rest of vegetable world), I suspect they would also be associated with weight gain. Looking at the two on strictly nutritional or scientific grounds, it is not possible to choose one over the other. If you are overweight and ready to lose weight, cutting out the potatoes when eating out will eliminate a lot of the carbohydrates and calories you consume. But don’t think that substituting sweet potato fries is a magical solution.